Not only was La Dauphine an obvious Deserving Hero, but I would give this description to the appellations Fronsac and Canon-Fronsac almost in their entirety. Following a reputation that equalled if not surpassed that of St-Emilion and Pomerol by the 18th century – confirmed by the grandeur of many châteaux – yet fell away after phylloxera, these appellations continue to produce some of the most robustly elegant and best value-for-pleasure wines on the Right Bank. Yet La Dauphine has a class all its own: archives date the estate back to 1670. In 1709 it was sold to Jean Olivier, a financial advisor to Louis XIV, and remained in the family through three centuries. A classical (though smaller than Laroque) château was finished in 1750 to welcome Princess Maria Josepha of Saxony, wife of Louis, Dauphin of France – hence the name. By the 1960s the property was in the capable hands of the De Brem family, who also owned Canon de Brem in Canon-Fronsac, regularly producing the best wines in both appellations. In 1985, François-Régis Marcetteau du Brem, the last descendant of the Olivier family, sold La Dauphine to Christian Moueix of Ets J-P Moueix. Despite the Moueix viticulture and vinification know-how, Fronsac was a losing proposition and the château was sold again in 2000 to Jean Halley, co-founder of the Promodès Group, who took on board the vendor’s concern about the future of the appellation. The southerly exposed vineyard covers 40ha of vines averaging over 30 years in the form of an amphitheatre with a 60m height differential, the soils on the plateau being limestone, in the middle limestone with clay, and at the bottom clay-silty sand. The whole property is now farmed organically with technical choices tailored to each individual plot; in the new circular vinification cellar there are 26 concrete and 16 stainless steel gravity-fed tanks of just 50hl (hectolitres), allowing each parcel to be vinified separately; the double-insulated underground cellar houses 600 barrels, renewed 25% per year. 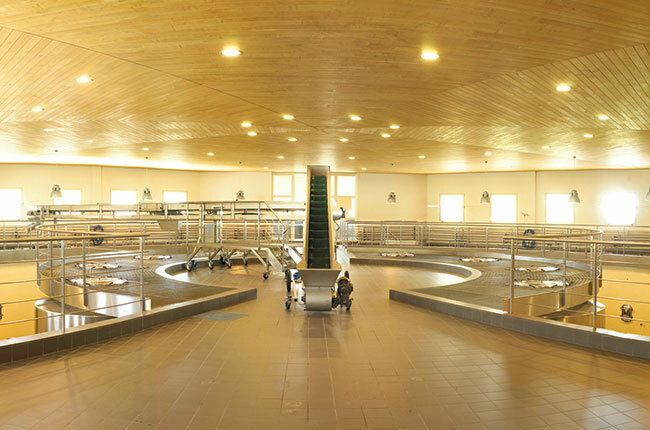 The estate’s oenologist was Denis Dubourdieu, who was succeeded in 2011 by Michel Rolland.